Trinco is the land of the rising sun, with graphic sunrises, golden beaches and an altogether slower pace of life. Coming here forces you to relax, unwind and rejuvenate. 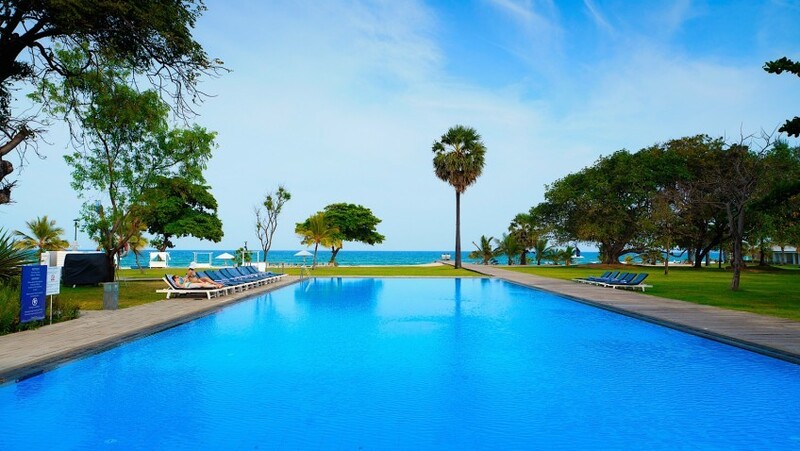 But there are other things about this harbor town, things that you ought to know if you’re planning on heading to Sri Lanka’s beautiful North East coastline. You might miss it if you aren’t looking for it, but somewhere between Trinco town and Nilaveli beach sits this magnificent green lawn, strewn with gravestones of many brave men, of different nationalities who fought and fell in the Second World War. 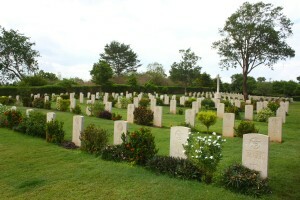 Falling under the Commonwealth War Graves Commission, this place in Trincomalee is one of 11 burial grounds strewn across the island and each with a similarity in terms of landscaping, headstone structure, layout and a significant cross that looms over each cemetery, known as the Cross of Sacrifice. 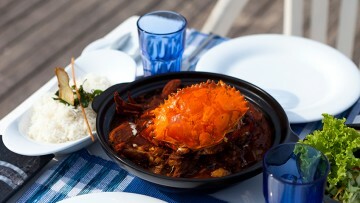 Scuba diving adventures and boat trips are a must when you’re in Trincomalee. Why? 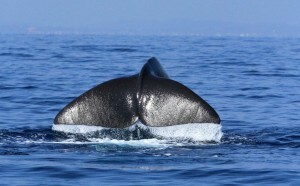 Because since of late, Trinco’s deep blue becomes the migratory home of one of the biggest pods of sperm whales in the world. Add to that the spectacular marine life including spinner dolphins and a vibrant shore reef and the world underwater might seem even better than the breathtaking sunrise. 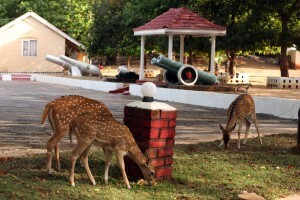 Trincomalee is home to the age old Fort Fredrick; built by the Portugese, reconstructed by the Dutch, claimed by the British and currently occupied by the Sri Lankan military – and a small herd of spotted deer! It is said that a couple of spotted deer were shipped here by the British as pets for their militia stationed here. Since the fort is opened to the public however, the incorrect disposal of waste and feeding the deer have caused the herd to get sick. If you are visiting the Fort, remember not to feed the animals and merely observe them from a distance. Something that’s not often known about Trinco is that it was once home to Chinese settlers brought here by the Dutch and Portugese during their colonial rule of the region. 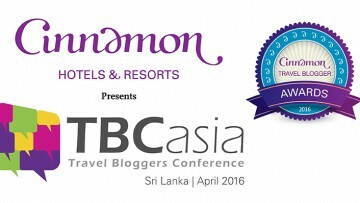 They were brought via the Trincomalee harbor into the island on the pretext of working on cinnamon plantations here. China Bay that sits a short drive away from Trincomalee town is thus named for those who stayed with the island long after the colonials left, having been away for too many generation with nowhere else but Ceylon to call home. Walk through the narrow streets of Trinco town and you just might find a family run Chinese restaurant serving the most authentic Chinese food in the region. The many comings and goings, and the original settlements here combine to make Trincomalee a cornucopia of ethnic delights. Despite hundreds of years of occupation and a 30 year war, Trinco’s many faiths and cultures thrive here. On some days the church bells, temple chants, the Islamic call to prayer and kovil sounds emanate simultaneously in a glorious spiritual cacophony that could rival most other countries in the world. 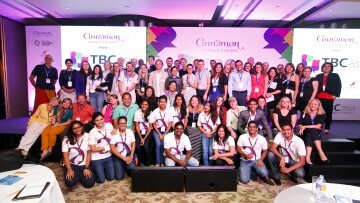 Trinco is a shining example of how people from different walks of life can live in harmony.